The Fifa World Cup gets into top gear from Friday, with three matches on offer, including Spain vs Portugal. Date, venue, live streaming and TV information right here. After just the one game on the opening day of the Fifa World Cup 2018, the fans will be spoilt for choice on Friday with three matches on offer, including one of the marquee ones of the group stages. 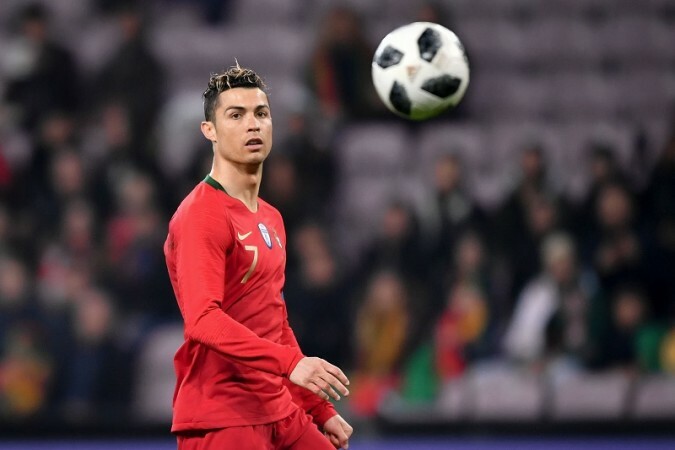 While Russia and Saudi Arabia slug it out for the bragging rights on Thursday, Friday is all about the second match of Group A and the two of Group B.
Egypt and Uruguay will start the proceedings on Friday, before Group B takes centre-stage with Morocco vs Iran and the big one – Portugal vs Spain. We'll get back to that big game soon, but let's start with the first game of Day 2. When is the Egypt vs Uruguay match? The second game of Group A will take place on Friday, 15 June. So, what time is the kick-off? For fans watching in India, get those TV sets switched-on by 5.30pm IST. If you want to take a look at the pre-match festivities, tune in from 4.30pm IST. And where will this match be played? A little difficult to pronounce – this match will be played at the Ekaterinburg Arena in Ekaterinburg. Surely this match is being shown live on TV in India? Yup, do not worry, you can watch the entire match LIVE on Sony Ten 2, Sony Ten 2 HD, Sony Ten 3 and Sony Ten 3 HD. And the Live Streaming for Egypt vs Uruguay? Sonyliv and the Sonyliv app have you covered on that one. When is this match on? The first match of Group A will also take place on Friday, 15 June. But, the kick-off cannot be the same time as the Egypt match right? No, don't worry, you will even have a full hour to savour the first game and prepare for the second one. Morocco vs Iran will kick-off in India at 8.30pm IST. Yes, and one that is much easier to pronounce. The match will be played at the Saint Petersburg Stadium in, yes you guessed it, St Petersburg. The same channels – Sony Ten 2, Sony Ten 2 HD, Sony Ten 3 and Sony Ten 3 HD will telecast the match live in India. And if I want to stream it online? Sonyliv is once more the destination. After all the issues with Spain, this match is still on right? Yes, very much. Portugal vs in-turmoil Spain will be played late on Friday, 15 June, with the match going into the wee hours on Saturday, if you are in India. The exact time of the match? Portugal vs Spain will kick-off at 11.30pm IST. Sochi is the destination for this big-time encounter, with the match being held at Fisht Olympic Stadium (no, not a typo, the T is there). The same channels to show it live? Yes, Sony Ten 2, Sony Ten 3 and their HD versions are your options. Hindi commentary on the Sony Ten 3 channels. Power might go in the night, so where do I live stream it then? Sonyliv is the place to go. Download the app and watch it on your mobile.